Are you planning a New Jersey birthday celebration for your friends, family, or loved ones? Should you have your birthday party at a unique location or at your home? Wherever you are going, our chauffeurs and staff at Action Limousine want to be the ones to get you to your party. Your birthday is a big event in your life and what better way to celebrate than with your family and friends than with a special awesome limo service from the NJ limo leader? Whether you want to take your friends and family out to celebrate with you or whether you want to surprise that special someone, Action Limousine, New Jersey limousines should be your first and last stop for all of your transportation needs. You can arrange for the New Jersey Birthday limo to pick you up and take you to your event or pick you up from your event afterwards. A limousine adds an extra momentum to your birthday dinner or surprise celebration. To make your journey more fun filled our expert drivers will take you to your party destination, and go the few extra miles to make you journey more fun, exciting, and safe. 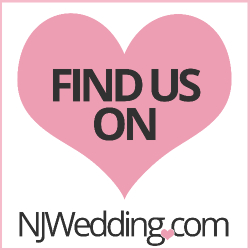 New Jersey Limousines are the perfect and luxurious way to celebrate any big day in your life. Looking for some inspiration for a birthday celebration? Then hire a limo with Action Limo New Jersey Limousine and we can guarantee it will add that extra excitement to any NJ birthday celebration. We have many limousine choices for your limousine travel experience. Our stretched New Jersey Birthday limos include Super Stretch SUV and many more to provide up to sixteen passengers a unique experience. We also feature our NJ limo bus ranging from 18- 42 passengers. Make your birthday celebration special with Action Limo! If you’re planning the perfect birthday party for a friend, we’re on hand to ensure that your every need is catered for. Why not treat your mate to an extra special party in our SUV Limo? With a build in sound system and mood lighting, you’re sure to have a great ride! Feel free to bring along your own music to get the party started! Our New Jersey limousines and executive cars are sure to make your friends feel special; it will be the best present ever!